At EverYoung we offer a broad range of acne and cyst treatments for optimal effectiveness including: SpectraPeel™, ThermaScan Laser, BLU-U® Light Therapy, Chemical Peels, Emergency Acne Treatment and Acne 911 Shot. The quantity of treatments required is based on your personal medical evaluation. On average about six treatments are required every 1-2 weeks to produce the best possible results. A maintenance strategy will be provided to ensure your skin remains clear. 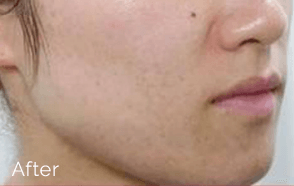 Our techniques are able to significantly reduce over 80% of painful acneic aggravations within the span of about 1-3 months. The ongoing cell turnover that is promoted through this therapeutic approach will reveal a smooth, clear complexion, effectively ceasing the need for any abrasive or topical ointments sold over-the-counter. Acne is a very common skin condition caused by a build-up of sebum production under hormonal influence and plugged pores which create an ideal environment for P.acnes bacteria to multiply and leading to painful pimples. At EverYoung, our doctors are committed to scientifically-proven combination therapies to target the cause of acne for long-lasting results. This approach gives you smoother and glowing skin in weeks, instead of months and years as compared to conventional treatment. 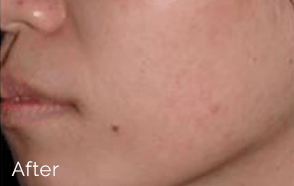 By quickly suppressing your acne medically, we can effectively prevent permanent acne scarring. A detailed skin examination will be conducted to tailor the best treatment for your need. Our physician will discuss with you based on the severity of your acne condition. Generally, 6 treatments every 1 to 2 weeks are needed to get excellent results at the initial stage. Your practitioner will monitor and discuss with you a subsequent maintenance treatment depending on your condition. What kind of result will I see? 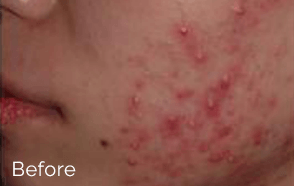 We can significantly reduce over 80% of painful inflamed acne within 1-3 month(s). With the ongoing cell turnover, your skin will reveal a smoother and clearer complexion. What are the factors that make my acne worse? Other than our deep-cleansing PH-neutral gels, our signature ACNE-GONE Program offers you a package of highly effective medical grade creams and sun lotions. 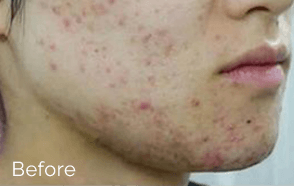 Is acne caused by too many hormones? According to the Canadian Dermatology Association, women are particularly affected by “cyclical acne”, which is acne that occurs before menstrual periods, during pregnancy and menopause. It the amount and sensitivity toward the androgen hormone that triggers the condition. 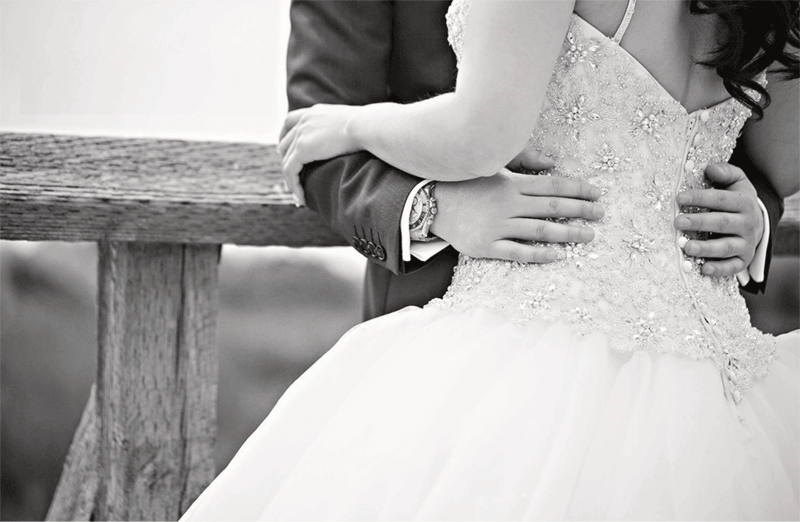 Our doctors carry a detailed medical interview and prescribe suitable treatment to balance your hormones. Is acne caused by food? While there is a lack of evidence that any specific type of food causes acne; however, the lack of good nutrition such as antioxidants and free Fatty Acids particularly, Linoleic Acid will reduce the skin’s natural defense capability to fight against infection. So it is always advisable to eat a balanced green diet and take ample Vitamin C and Zinc supplements. Where on my body will have acne? Acne tends to affect areas rich in sebaceous (oil) glands such as the face, upper chest, and back. The blockage of the opening of the glands could be the main culprit contributing to acne development.